IT'S OFFICIAL! 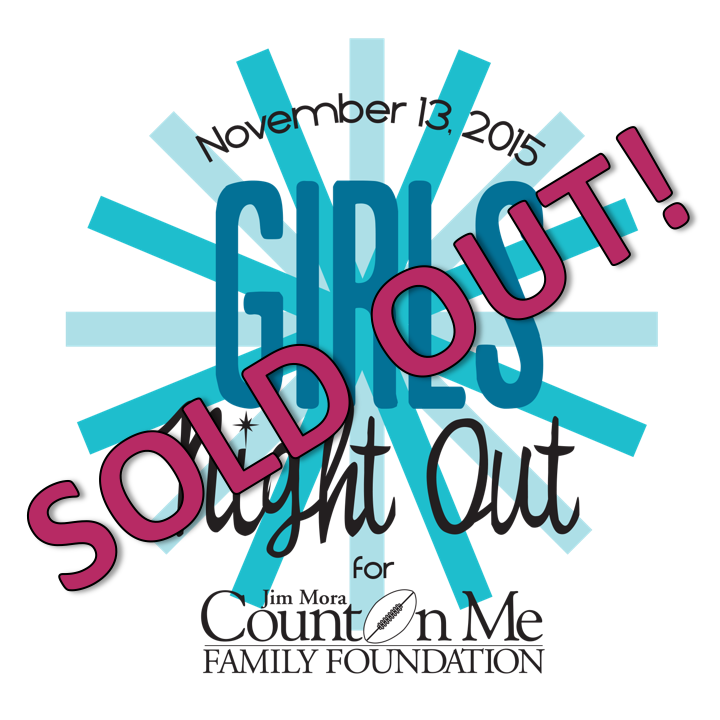 GIRLS NIGHT OUT IS SOLD OUT! Count On Me's Annual Girls Night Out is a fabulous night of fun and frolic! Small bites, cool drinks and a night out with the girlfriends makes our annual Girls Night Out in Los Angeles an unforgettable evening – all in support of our Annual Holiday Shops. Purchase your ticket now for this fun sell-out event on November 13th, 2015! Use the "Click Here To Register Online" button at the top of the page to get your tickets now!